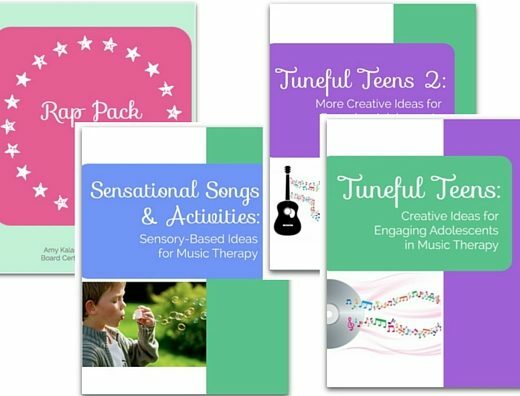 Sensational Songs & Activities: Sensory-Based Ideas for Music Therapy is full of song ideas, sheet music, intervention ideas, and themed session plans designed to stimulate ALL six senses. Are you stuck for ideas when it comes to planning music therapy activities for individuals with severe and profound intellectual disability? Do you work with individuals with autism and struggle to find ways to engage them during music therapy? 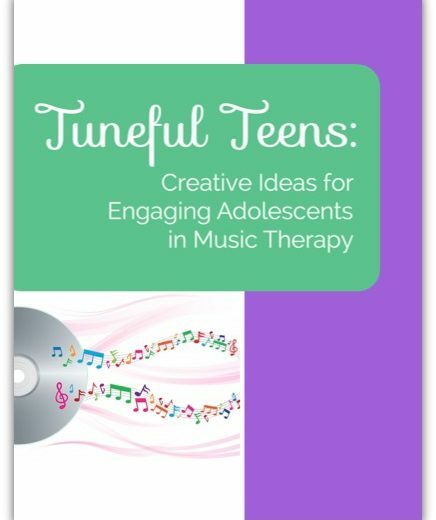 Are you looking for some fresh sensory-based music therapy ideas? Do you wish you had themed session plans that would allow you to provide multi sensory stimulation for your sensory-based learners? Or are you just looking to kick start your creativity so you can breathe new life into your sessions? 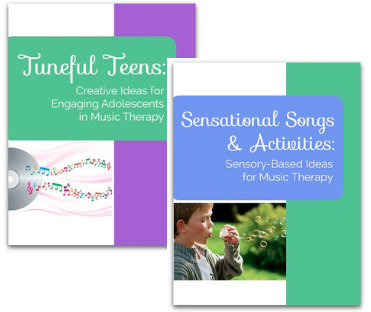 Then my new E-Book, Sensational Songs & Activities: Sensory-Based Ideas for Music Therapy may be JUST what you’re looking for. At some point in my career, I too have answered a giant, resounding YES to these questions above and had no idea where to look for help. I remember mornings where I would just stare at a blank piece of paper hoping that new ideas would just…come to me. Now after ten years of experience working with individuals with various special needs and learning styles – nine years of trying out numerous interventions – I have tons of effective ideas that I just cannot wait share with you! If you follow the Sensational Activities series on my blog, Wholesome Harmonies, you’ve seen some examples of the activities I will be sharing in the Sensational Songs & Activities E-Book. But, this E-Book will be jam-packed with even MORE goodies! 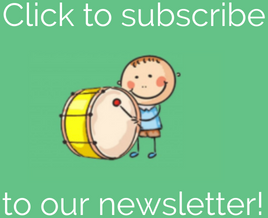 You’ll find song ideas, sheet music, intervention ideas, and themed session plans designed to stimulate ALL six senses. I am so excited to share the very best of my sensational activity ideas with you. 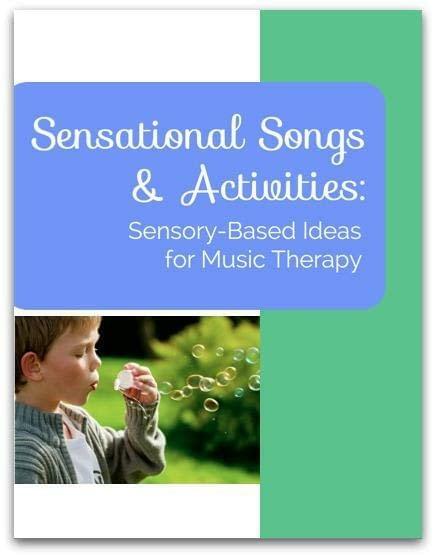 Sensational Songs & Activities is your go-to resource when it comes to planning music therapy interventions for your sensory learners. The E-Book contains over 55 pages of content and is only $16. Don’t need any more convincing? Click ‘Add to Cart’ to purchase. When your purchase is complete you’ll receive an email confirmation with a link to download your E-Book. (Or keep reading to find out more about my story and the goodies you’ll find in the Sensational Songs & Activities E-Book). My career as a music therapist began when I started working at United Cerebral Palsy (UCP) in 2006. I worked in the preschool and charter school, called Early Beginnings Academy, which serves children birth – age 8 with various special needs. When I started working at UCP, I remember thinking….it will be SO easy for me to generate new ideas and activities! I’ll have all these awesome intervention ideas that the children will respond to and love. In reality, things were very different. The children I met needed hand-over-hand assistance to participate; many were non-ambulatory and nonverbal; some even became overstimulated by the sound of the guitar and had other sensory integration issues. The children I work with are sensory-based learners. They experience the world and learn about their environment through their six senses. I remember feeling completely lost when it came to planning appropriate music therapy activities and interventions for these children. But as I began to learn about the children’s developmental stages and unique needs, I became more adept at creating age-appropriate and developmentally-appropriate interventions…and ones that were fun and engaging nonetheless! After ten years of experience working with children with special needs under my belt, I feel confident in my ability to create activities that are well…sensational! Now I want to share them with you! I’ve compiled my BEST and MOST SUCCESSFUL activities and put them in this E-Book for you. – NEW BONUS Resource (brand new in 2015! ): My tips for sensational success when working with individuals with intellectual disability and autism. For example – how to musically accompany yourself while also being providing hand over hand assistance and how to avoid overstimulating your clients. AND THAT’S ONLY THE START – I share many more strategies, tips and ideas in the Sensational Songs & Activities E-Book that will kick your creativity into high gear and get you thinking about sensory activities in a way you never imagined. I aim to kickstart your creativity so you can use your talent, expertise, and assessment abilities to create your OWN engaging and appropriate sensory activities, too. Each section of the book lists specific intervention ideas, goals addressed, and items needed. 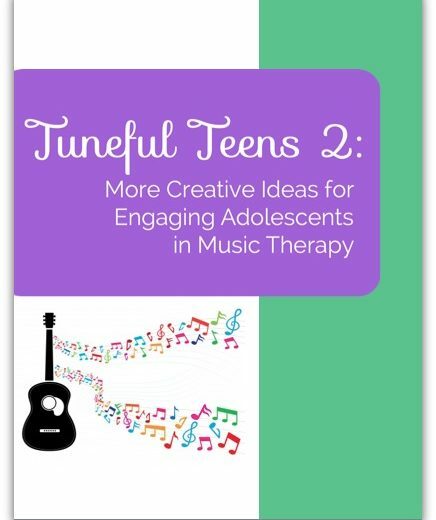 You’ll get a sampling of sheet music so you can start implementing the ideas into your sessions right away! How many hours a week in planning would this save YOU? Don’t work with children? No problem. 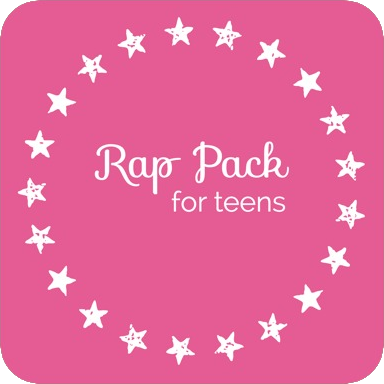 The ideas in the Sensational Songs & Activities E-Book can easily be adapted for adolescent and older adult populations. The best part? 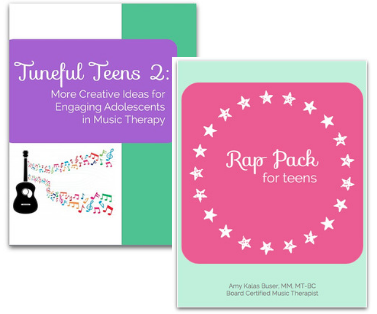 You can have all this – over 55 pages of creative intervention ideas and sheet music – all for only $16! It’s a steal, really.